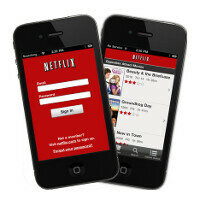 Remember the other day when Netflix said that it was considering a hike in subscription rates for new members? In a press release that was disseminated on Friday, the streaming video firm said that new subscribers will now have to pay $8.99 a month for service. If you're a current subscriber, you will continue to be locked into the $7.99 a month you currently pay, for another two years. As long as Netflix uses the extra cash it raises to add more content to its site, no one will do much complaining. And in a brief statement on Friday, Netflix did say that this is exactly how it intends on spending the extra buck per month that new members will pony up. Current members now have about 730 days to start going through the entire site before they have to dig a little deeper into their pockets. $48? think some math is wrong, 2 years = 24 months , a savings of $1 a month is $24 saved for the two years Still, even at 8.99 it is still cheap entertainment. As long as they keep adding new movies it will be worth the price for awhile. I thought I read $9.99/mo. Must be all that fermented and distilled molasses I have imbibed. Netflix, why don't you'll make your service available in India? There's alot of people here waiting for Netflix to work in India. Every successful couch zombie needs this app.